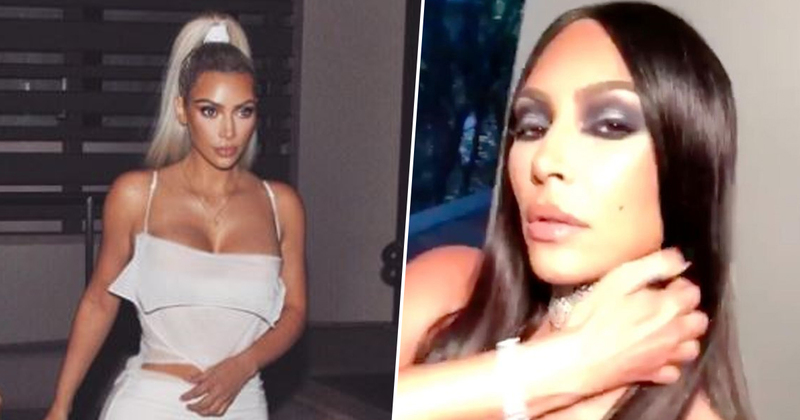 Kim Kardashian has sparked a racism row after dressing up as a famous black woman for Halloween. The reality TV mogul had previously paid tributes to Madonna and Cher in the build up to the October holiday. On Saturday, however, the reception wasn’t as admirable. Kim decided to dress up as the late R&B star Aaliyah, from her Try Again video. But some commenters have deemed Kim Kardashian‘s costume inappropriate. Aaliyah was only 22 when she tragically died in a freak plane accident in the Bahamas. She had just wrapped the music video for her upcoming single Rock The Boat. When fans came to Kim’s defence, the critics explained why they thought it was a bad decision. Come on guys, it’s just an outfit. There’s bigger problems in the world.